It’s hard to watch Andrea Arnold’s version of Emily Brontë’s novel about the destructive, all-consuming power of love without comparing it to Cary Fukunaga’s adaptation of Charlotte Brontë’s Jane Eyre, which was released mere months earlier. This is, to an extent, superficial, since the two might not have been compared if they weren’t released within the same twelve month period. There have been plenty of adaptations of both works, why compare these two merely because they are the most recent? However, scratching beneath the surface we see a clear conceptual link between them since both set out to be radical reinventions of classic works. The difference is that while Fukunaga’s film, whose trailer boasts plenty of Gothic imagery and a segment of Goblin’s menacing score to Suspiria, suggests that it will be a totally new take on its story, wound up being very similar to every other adaptation, Arnold’s film is the genuine article. Wuthering Heights makes its intentions clear from its opening scene, which consists of Heathcliff (James Howson) bashing his head against the wall of the house that he and his lifelong love, Cathy (Kaya Scodelario), grew up in. It’s a violent, disorientating opening that ends suddenly when the title card silently appears on screen, almost daring the audience to recognise the scene as being even remotely related to the canon of great Western literature. Straight away Arnold places the story in a new, jarring context wholly separate from overly stuffy adaptations of the past, turning one of the archetypal romantic novels into a violent and discomforting experience. The atmosphere of the film is so powerful that it’s almost possible to overlook the variable acting on display. As on her previous film, the superb Fish Tank, Arnold casts some non-professional actors (namely Howson, Solomon Glave as Young Heathcliff and Shannon Beer as Young Cathy) who, at times, bring rawness and intensity to their roles, but at others just feel awkward. It’s telling that much of the film is non-verbal, relying on the physicality of the actors and the small moments of physical interaction, such as a scene in which Cathy kisses the bloody welts on Heathcliff's back after he has been whipped, as well as the sensual movement of the camera to convey meaning where the actors struggle to do so. 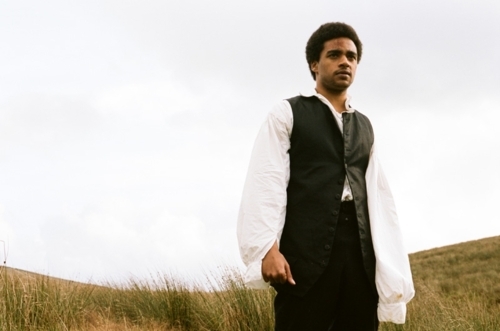 Having said that, Solomon Glave is compelling as Young Heathcliff, and seems like the cast member who is most likely to develop into something great if he decides to continue acting. Wuthering Heights is a bold, audacious work that cuts to the violent beating height of a classic. In its style, tone and atmosphere it reinvents everything we thought we knew about literatary adaptations by creating a film which is vital, new and alive. Whilst some of its experimentation falls flat, most notably where some of the actors are concerned, far more of it works, and works wonders.